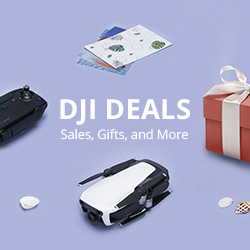 DJI are requiring all DJI drone pilots to register their drones with them this week. If not there will be restriction on your drone. The latest update from DJI which comes along with the app update, means you need to register your drone with them – a simple task so don’t get caught out. “DJI will soon introduce a new application activation process for international customers. This new step, to take effect at the end of next week, ensures you will use the correct set of geospatial information and flight functions for your aircraft, as determined by your geographical location and user profile. All existing flight safety limitations, such as geofencing boundaries and altitude limits, remain the same. This is for all DJI drone pilots, whether you are a new or old drone owner the update must be completed. 1 Response to "DJI Requiring Registration of their Drones. Don’t get caught out." Don’t hate on DJI. They’re just doing their best to make certain we keep our drones and the ability to fly them. They are responsible for making good equipment. We are responsible for using them safely.